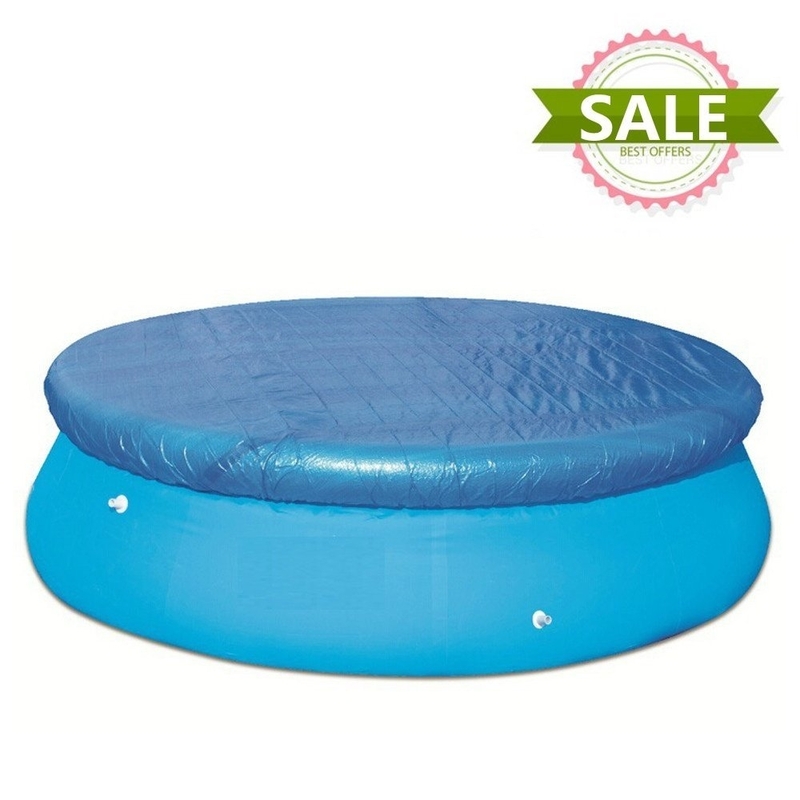 Easy-to-use, durable small round pool cover. Lightweight material; round cover with 13-inch overhang. 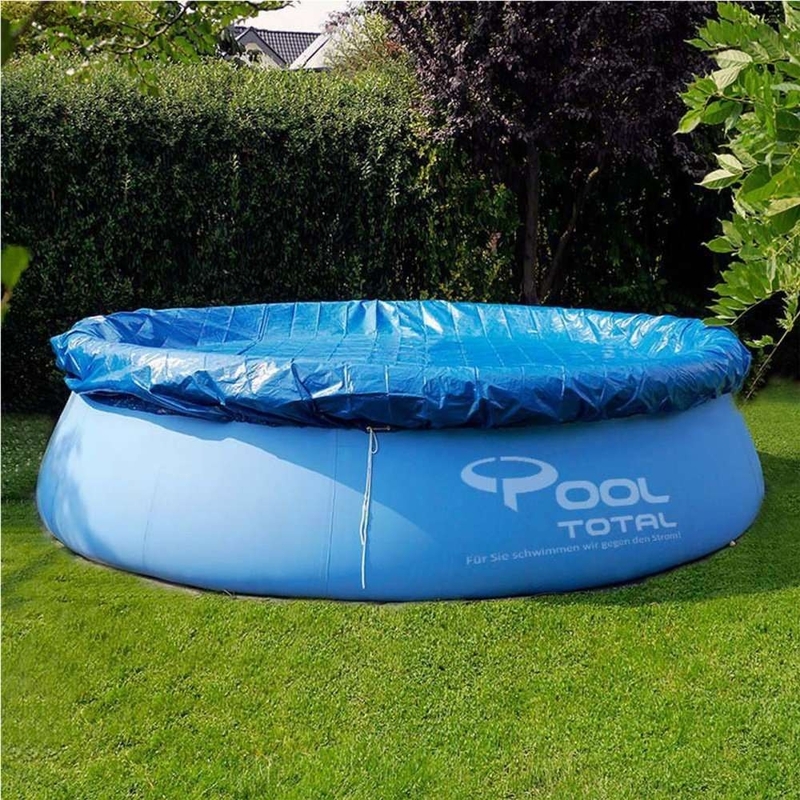 This Pool Covers are an essential accessory for water lovers with a Fast Set Swimming Pool. These pool covers neatly fitting over the top of your pool to shield from falling leaves, insects and other unwanted dirt. The fast set pool covers can be secured using handy rope ties to prevent them being blown off in the wind. 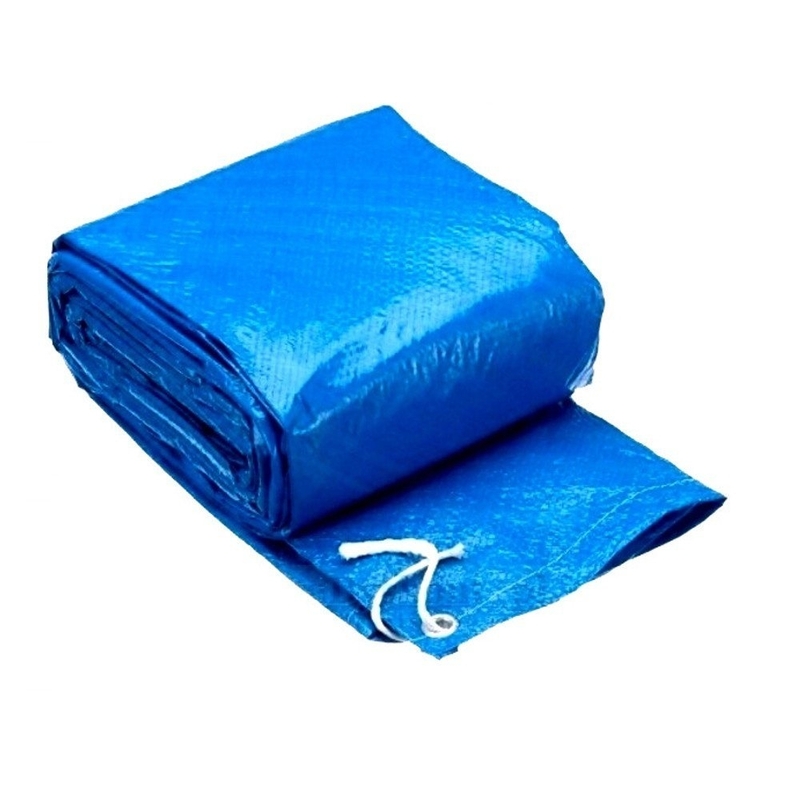 Made from durable UV resistant materials, these pool covers will help to protect your fast set pool from sun damage and ensure its continued use for many a summer season. This item is suitable for INTEX and BESTWAY dish shape and circular swimming pool. Prevents dirt and debris accumulating in pool. Simple to secure with hardwearing rope ties. Limits evaporation and reduces need for chemicals. Fits pools 8/10/12 feet in diameter.